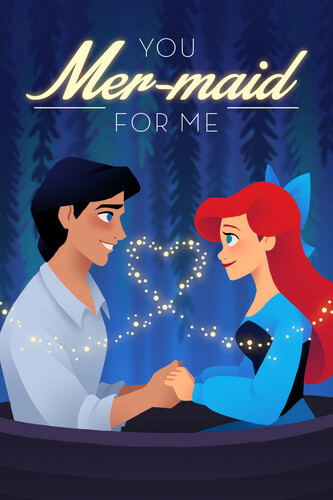 The Little Mermaid Valentine's siku Card. The Little Mermaid. HD Wallpaper and background images in the Ariel and Eric club tagged: photo the little mermaid ariel eric disney 1989 animated film. "My upendo for wewe is deep as the ocean"